The Ospreys have announced that the region's chairman Mike James has resigned, citing the WRU's "catastrophic mismanagement" of efforts to overhaul the game. 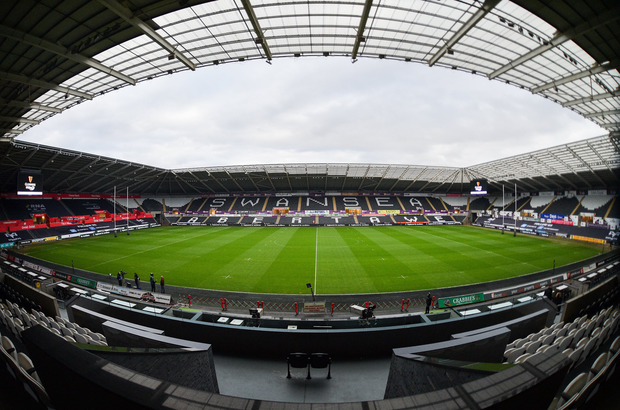 A proposed merger of the Scarlets and the Ospreys has proved very contentious, with the WRU expected to create a new team in north Wales to fill the void. James made his the announcement of his departure at the start of Tuesday's Professional Rugby Board meeting in Cardiff. In a statement released by the Ospreys, James said: "None of us doubt that regional rugby requires restructuring in order to ensure the long-term sustainability of the game. "The way in which this has been handled, however, is nothing short of chaotic, resulting in a fatal combination of uncertainty, conjecture and insecurity now hanging over regional rugby's future. "To methodically, rationally and impartially map out the future of regional rugby is one thing. To fatally wound it with an ill-judged, cavalier process is another. "We now have the worst of all worlds - a lack of clarity, a lack of transparency and a total inability to plan ahead. "We can no longer make sound rugby or business decisions, and nor can our players or commercial partners. Project Reset has become Project Inept. "I cannot, and will not, be a party to this level of catastrophic mismanagement, and today I've made the decision to stand down as both chairman and a director of the Ospreys, surrendering my position on the PRB."